It’s summer season once again and time to start researching summer holidays. There are around 59 commercial airports operating in the UK and Ireland, which means that most of us have a vast choice when it comes to choosing which one to travel with. This is your quick and easy guide to the top five airports to fry from in the UK and Ireland. 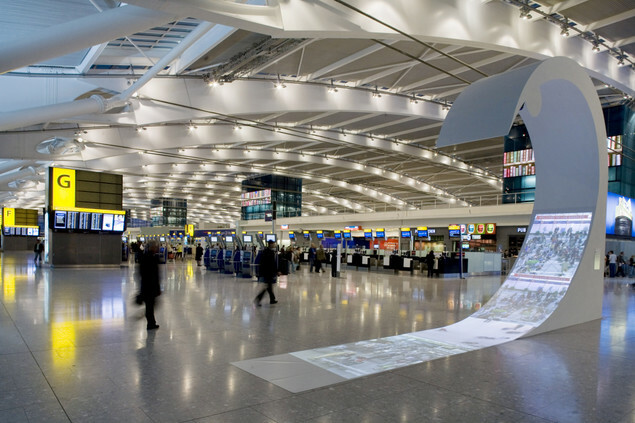 Heathrow is the biggest airport on our list, with five terminals in total. As such, it offers hospitality like no other and an unbeatable range of destinations. The airport’s business and traveller lounges offer friendly family rooms, complimentary food and drink, games room and even a cinema. These facilities are set to improve further still, as the redesigned Terminal 2 is due to open on 4th June 2014. If you intend to fly with children, this is a great choice as it offers superb baby changing facilities, child friendly restaurants and play areas. Heathrow earns it place at the top of this list as it acts as the gateway to the world with over 300 destinations to take you to every corner of the earth. Birmingham airport comes almost top of the list as it offers flights to hundreds of destinations around the globe and due to its highly convenient Midlands location it’s no surprise that it’s one of the most popular airport terminals in Britain. The airport prides itself on its hospitality, with shops, bars and lounges to suit every need, where you can pick up a last minute item from your favourite high street stores, before treating yourself to a bite at Frankie & Benny’s or Costas, which are all under one roof. This is also one of the easiest airports to access. With its own train station it’s possible to reach pretty much anywhere in the country with relative ease. What’s more, it has its own free ‘Air-Rail’ link system that operates between 5am and 2am daily. Gatwick is another giant of the UK’s airport industry. Due to its size it has a supreme choice of restaurants, high street shops, entertainment and even offers weary travellers massage chairs to unwind in. Gatwick also offers lots of eye-catching viewing points and family lounges to keep children entertained during delays. On top of this, it’s quick and easy to transfer between terminals, with speedy transit trains to make your journey as stress-free as possible. Belfast comes number four on the list for its easy transport links, destinations and proximity to Belfast city centre. Millions use this airport, with an average of over four million passengers passing through its doors each year. It couldn’t be easier to pull up and fly away, as its car park is a mere 500 meters from the main terminal. It also has a 24-hour bus service between the airport and Belfast city centre, costing just £7, making transfers for locals and holidaymakers a breeze. Booking holidays from Belfast could take you almost anywhere around the globe, from long-haul flights to Vancouver and San Francisco, to European flights to Malaga or Amsterdam. Manchester offers a plethora of entertainment in its terminal walls; its duty free shopping, escape lounges and eating and drinking, rival any London airport, earning Manchester its place on the top five list. Manchester is your best option when it comes to Mediterranean and European countries as it boasts both an excellent selection of destinations and competitive prices.